Home › Fantasy › Top 10 Fantasy Novels of 2018? 10. The Invisible Library Genevieve Cogman — “One thing any Librarian will tell you: the truth is much stranger than fiction.” So reads the tagline for this first book in a fantasy series about a mysterious library that collects works of fiction from “all the different realities.” Librarian-spy Irene is tasked with retrieving a particularly dangerous tome from an alternative London where supernatural creatures and unpredictable magic run rampant. 9. Olympus Bound by Jordanna Max Brodsky — The third book in Brodsky’s trilogy about the Greek gods in the modern world makes it into the top ten list following in the footsteps of books one and two. Selene is Olympus bound after a power-hungry cult kidnaps her father. Now, she must journey to face her past and reclaim her birthright as Artemis, goddess of the hunt. 8. The Stone in the Skull by Elizabeth Bear — The first book in the Lotus Kingdom trilogy set in Bear’s Eternal Sky realm. A brass automaton carries a message from a powerful sorcerer for the ruler of the Lotus Kingdom. Accompanying the automaton is The Dead Man, a bodyguard, entrusted with protecting the message and messenger. 7. Lake Silence by Anne Bishop — Vicki DeVine, the owner of an inn, and her lodger, shapeshifter Aggie Crowe discover a murdered man in this 6th book of the paranormal series, The Others, by bestselling fantasy author Bishop. 6. The Delirium Brief by Charles Stross — In the 8th novel in the dark fantasy Laundry Files series, the existence of a secret British government agency dedicated to protecting the world from unspeakable horrors has become publicly known. Now Bob Howard and his team must navigate this new paradigm. 4. A Scandal in Battersea by Mercedes Lackey — The 12th book in the Elemental Masters series “re-imagines Sherlock Holmes in a richly-detailed alternate 20th-century England.” When women begin disappearing in the dark of night, the Elemental Masters, including one Dr. John Watson, must stop an encroaching darkness before it can be unleashed on Christmas Eve. 3. The Vagrant by Peter Newman — The Vagrant travels to the Shining City, the “last bastion of the human race.” to deliver a weapon that may be humanity’s only hope in a devastating war. The first-book in a post-apocalyptic fantasy trilogy first published in 2016. 2. Towers of Midnight by Robert Jordan & Brandon Sanderson — Robert Jordan’s The Wheel of Time series debuted in 1990, and became an enduring and popular high fantasy series. When Jordan passed away in 2007, fantasy author Brandon Sanderson was chosen to conclude the series based Jordan’s notes. Towers of Midnight is the penultimate volume in the fourteen book series depicting the cyclical nature of time in a world that could be our own. Faith of the Fallen by Terry Goodkind — The 6th book in the popular high fantasy series, The Sword of Truth, tops the list even though it was first published in 2001! The adventures of Richard Rahl and Kahlan Amnell continue as they face the invasion of their homeland by the Imperial Order. 2018’s top ten list is a return to form, featuring prolific fantasy authors like Elizabeth Bear, Anne Bishop, Charles Stross, and Terry Goodkind, along with a mix of new and old voices in the genre. Last year’s list was dominated by books based on the urban paranormal series, Supernatural, starring Jensen Ackles and Jared Padalecki. The series premiered on the CW network in 2005 and is currently in its 14th season. So it’s not so surprising that two books on this year’s list have ties to TV series. Terry Goodkind’s The Sword of Truth series was adapted into a sadly short-lived TV series, Legend of the Seeker (2008-2010). In two seasons, the TV series loosely covered the events of the first two books. 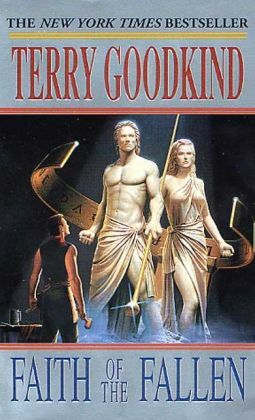 Though Goodkind’s books were already popular, I’m sure the series brought in new readers curious to continue the stories of the characters they were introduced to on the screen. 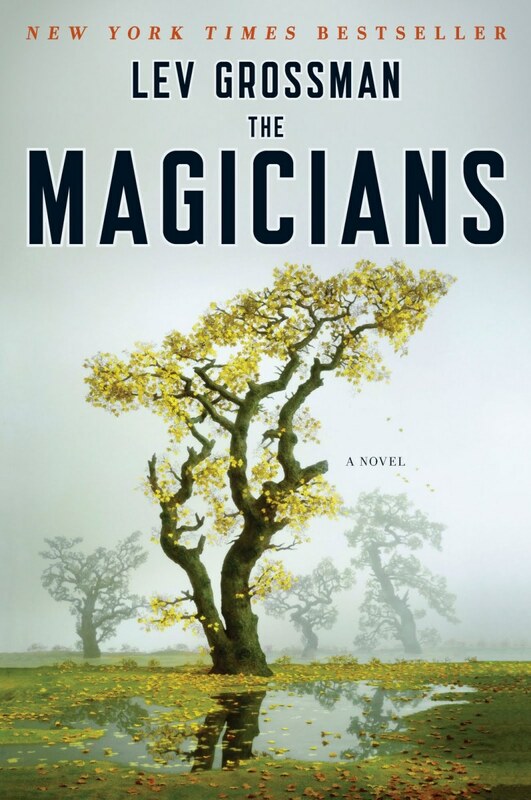 Likewise, Lev Grossman’s The Magicians Trilogy became the basis for the SYFY channel TV series of the same name. While the series may have at first seemed like a more adult Harry Poster-esque story of students at an elite magic school, it has since expanded to encompass a Narnia-like world, old gods and tricksters, and a fascinating ensemble of well-developed characters. The fourth season of The Magicians is set to debut this month. « Top 10 Mysteries of 2018?